In the psychic world we often refer to the seven “clairs” when discussing psychic abilities. “Clair” is French for “clear.” In the mortal, mundane world, we receive messages via text, email, or in person all the time. In the psychic realm there are almost infinite numbers of ways to send and receive messages, and if you’re gifted with one of the “clairs” as some people are, you will know this. While we as humans only have five senses, there are believed to be seven basic types of psychic ability: clairvoyance, clairsentience, clairaudience, clairtangency, clairscent, clairgustance, and claircognizance. Possibly the most clichéd and best understood of these is clairvoyance, or the ability to see psychic messages as pictures in the mind’s eye. This may not be, as Hollywood would have us believe, the ability to see the future or even locate a missing person. It may be a single image, a number, a color, or someone’s face. The significance of it may be lost on the psychic at that time, yet it will be important later. Clairsentience, and its cousin clairempathy, are “gut feelings” or instinctual messages received that we might not understand. For example, a woman knows not to get on a plane for some reason, only to discover later that the plane has crashed. Read any newspaper or magazine and chances are you will discover an example of this in real life. Clairempaths are those psychics who are able to read the feelings of others or influence them, for better or worse. Some of us are also familiar with clairaudience: the “hearing” of certain messages or voices from beyond. Have you ever been driving, for example, and heard someone telling you to take a detour? Or maybe you were taking a test, and the correct answer was whispered into your ear? That is clairaudience at work. This gift has also been known to work with the spirits of the deceased, when they are trying to communicate messages from beyond. Clairtangency, or the ability to feel things in an extra-sensory way, is less understood. Think of the last time you got goosebumps, or perhaps a warm feeling, without knowing why. You were experiencing clairtangency. The two clairs that are often tied together are clairscent and clairgustance: psychic smells and tastes, respectively. When you experience a “phantom smell” such as cigarette smoke or rose petals, or a flavor in your mouth, chances are you are getting a message from beyond. Think of a family member or someone you knew who might be associated with that smell or taste. He or she might be trying to tell you something! And finally, claircognizance, which is the ability to simply “know” something without being told. This gift is often tied to images we see in dreams. That house you were looking for but had never seen? You knew where it was. The future spouse? You knew what he or she would look like, then met them in person. 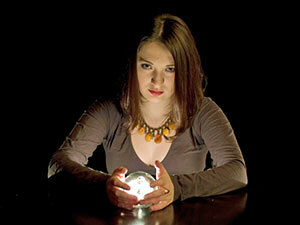 Of course, there are many subtypes or variations on the basic psychic gifts and talents. Everyone has a gift. Practice, write down what you experience, share with others. The more you are willing to experience, the more the universe will open itself up to you through your senses and extra-senses.